IT’S FRIDAY! Lots more ~helpful~ content comin at you next week but today I wanted to share a few recent Instagram snaps I’m excited about. I’m also v excited to finally be using lightroom presets on my photos! I really wanted to take things to the next level this year & get more creative, & that starts with aesthetic. 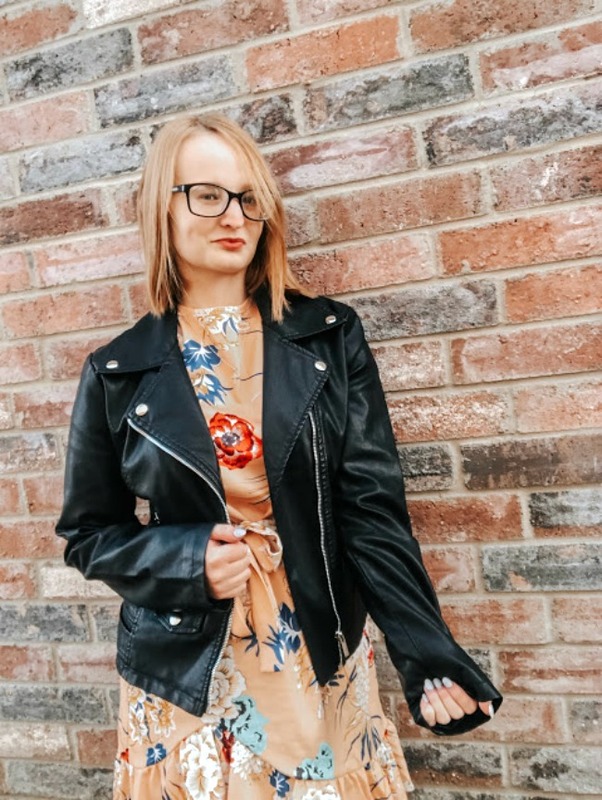 First we need to talk about this dress/ leather jacket combo that I got from AMAZON. I’ll have a post coming soon on everything you need to know about prime shopping because I’m here to tell you it’s the bomb. The dress is super cute & even though it’s more spring-y, it can be worn for a pop of color for the reminder of winter. As for the jacket, I’ve been in the market for a new leather number & after reading reviews I knew I needed this one. I love the little buckle details & the fit is very TTS. 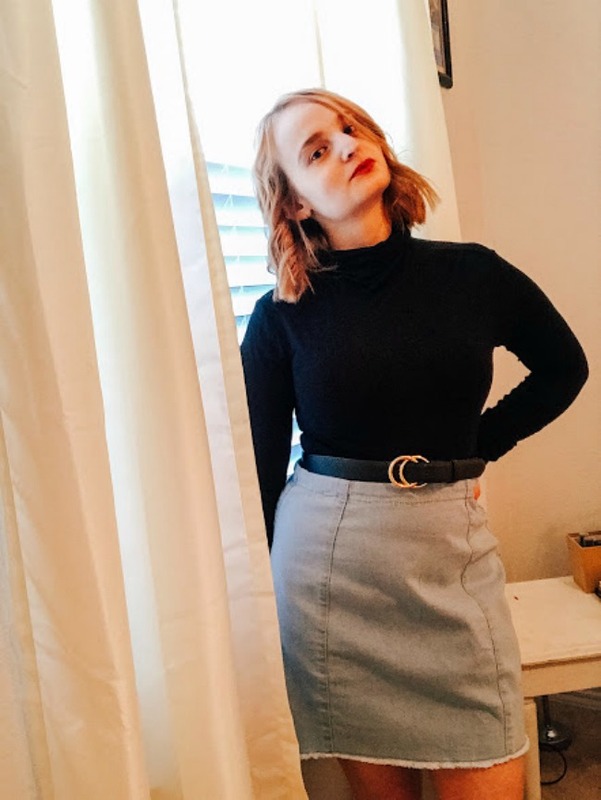 I love a black x denim situation & y’all loved the pairing of a black mock neck I’ve had for aaages with a denim skirt. The belt is my fave little accessory to make things a little sleeker! 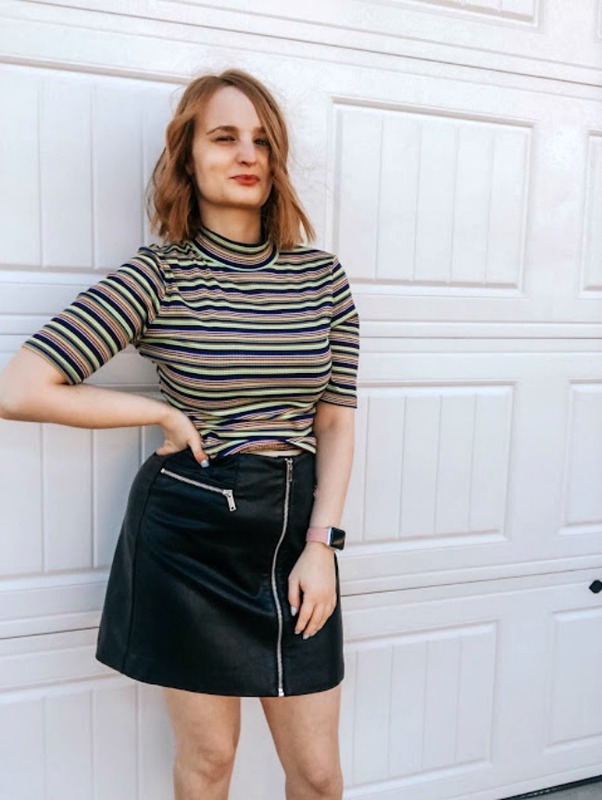 Y’all also really loved (as did I) this croppy asos top & leather skirt. If you’ve been with me long, you know my thing for leather. It adds a tough girl vibe to any look & this forever 21 babe has gotten me through some looks! Honestly I’m not the biggest fan of the cut of the top, but it’s good for skirt pairings or under overalls. What’s been your favorite insta look recently?